As members of the Chandra team, headquartered at the Smithsonian Astrophysical Observatory in Cambridge, Massachusetts, Kim and Megan have long had firsthand experience with incredible astronomical images — they previously designed and coordinated the internationally-acclaimed From Earth to the Universe and From Earth to the Solar System photo installation projects, which helped set up presentations of space exploration images in public locations around the world. Your Ticket to the Universe even features images from some of the most recent missions – like MSL! Your Ticket to the Universe takes such impressive images — from telescopes and observatories like Hubble, Spitzer, SDO, Chandra, Cassini, GOES, VLT, and many others, as well as from talented photographers on Earth and in orbit aboard the ISS — and puts them right into your hands, along with in-depth descriptions that are comprehensive yet accessible to even the most casual fans of space exploration. This is my favorite kind of astronomy book. Although I look at images like the ones in Your Ticket to the Universe online every day, there’s something special about having them physically in front of you in print — and well-written text that can be understood by everyone is crucial, in my opinion, as it means a book may very well become an inspiration to a whole new generation of scientists and explorers. 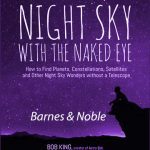 I’ve had the pleasure of meeting co-author Kimberly Arcand on several occasions — I attended high school with her husband — and her knowledge about astronomy imaging as well as her ability to present it in an understandable way is truly impressive, to say the least. She’s quite an enthusiastic ambassador for space exploration, and Your Ticket to the Universe only serves to further demonstrate that. Your Ticket to the Universe will be available online starting April 2 at Smithsonian Books, or you can pre-order a copy at Barnes & Noble or on Amazon.com. Don’t explore the cosmos without it!